Children who experience the trauma of bullying often become bullies themselves. Bullying is a term used to describe aggressive, hurtful and violent behavior that involves an imbalance of power. One of the biggest challenges for victims of bullying is getting adults to see their problem as more than a rite of childhood passage. 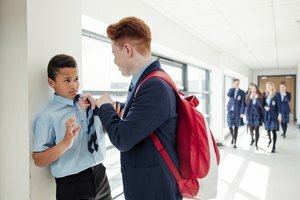 Luckily, social researchers have pointed out common characteristics that can help school administrators prevent bullying from becoming a major problem. When discussing peer-on-peer aggression, it is important to understand the distinction between bullying and teasing. Bullying refers to overt, often long-lasting acts of physical and verbal aggression intended to belittle the victim. 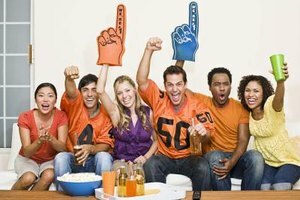 Teasing is an ambiguous, less extreme social exchange. Although teasing can turn into bullying, its power has little effect if the recipient dismisses or laughs off the remark. By contrast, victims of bullying can do little or nothing to avoid the harassment. According to the National Association of School Psychologists, children who bully typically have more physical or social power than their victims, and they are often seen as leaders among their friends. Bullies are also more likely to view violent behavior in a positive light and behave impulsively. Other common characteristics include an inability to follow rules, lack of empathy for victims and a tendency to argue with adults. Stopbullying.gov suggests that children who have strong social connections are concerned about their popularity and who feel driven to dominate others are more likely to become bullies. 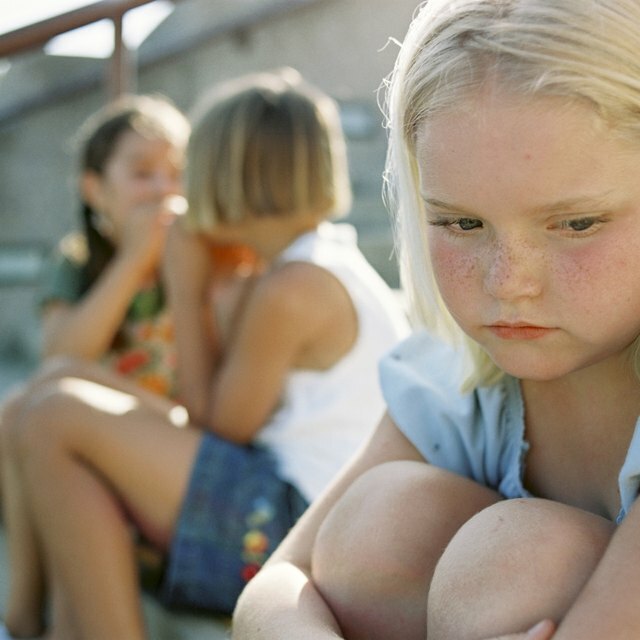 Children who are academically disengaged, isolated from peers or suffer from low self-esteem may also bully their peers. Physical superiority is not the only trait that gives bullies an advantage over the victim. Power imbalances can also stem from greater cognitive ability and popularity. 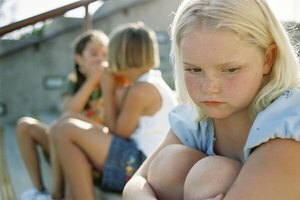 Whereas boys are more likely to use physical aggression, girl bullies favor indirect methods such as isolation, social exclusion and gossip. Girls are also more likely to employ nonverbal cues -- facial expressions, eye rolling and vocal tones -- to show disdain for victims. Females are also more likely to take part in cyberbullying, which often involves posting violent or embarrassing digital images and messages. Adults, particularly school administrators, can make an important contribution by actively intervening on behalf of victims. When incidents occur, parents should immediately share their concerns with counselors, principals and teachers. Many schools establish anti-bullying policies. If a school has not enacted anti-bullying procedures, parents should press officials to create them. Children who show long-term trauma as a result of bullying may benefit from the support of a mental health professional. What Causes Someone to Be Clingy to a Loved One? Heibutzki, Ralph. "Characteristics of School-Age Bullying." Synonym, https://classroom.synonym.com/characteristics-school-age-bullying-17755.html. 26 September 2017.